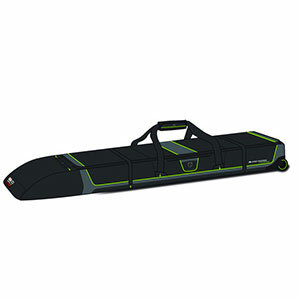 Convenient storage and transportation for your skis. Convenient storage and transportation for your skis. Very easy to wheel and well padded for protection of you valuable equipment. Why carry skis bags when they can be rolled? 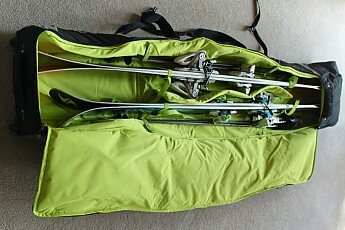 High Sierra has made transporting two pairs of skis and poles much easier with its wheeled adjustable double ski bag. 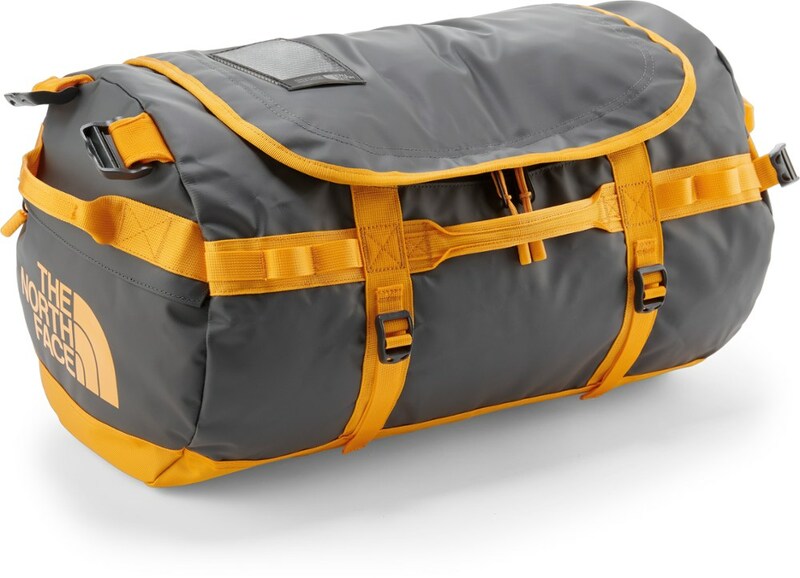 Constructed of 1680D Ballistic nylon, originally made for military use and paired with a robust set of wheels built for inline skates, this double ski bag is meant to satisfy even the most serious ski traveler. A structure of rigid plastic encompasses the lower end of the bag and supports the wheels. Additional plastic rub rails protect the bottom of the ski bag. This double ski bag features the High Sierra's Adjust-A-Strap system that adjusts the length of the bag to fit skies from 170cm-210cm long. This is accomplished by passing the end of the bag through the correctly marked ski length loop attached to the outside of the bag, folding the bag end over and attaching the hook and loop fasteners. The large interior features full padding on all exterior surfaces along with a padded divider to further protect the contents. Marked straps are provided to secure two pairs of skis and poles to the interior of the bag. A zippered side pocket provides space for accessories. 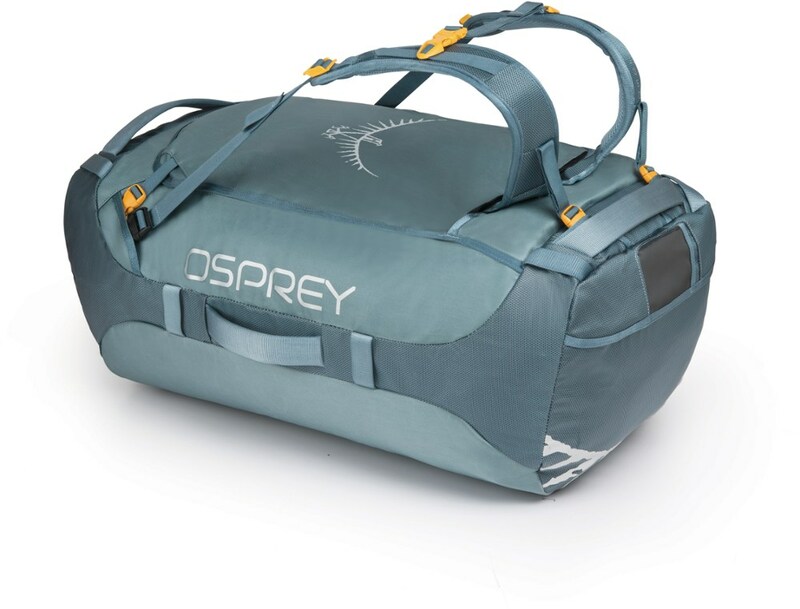 The High Sierra bag features two large zippers for closure along with two additional adjustable compression straps. 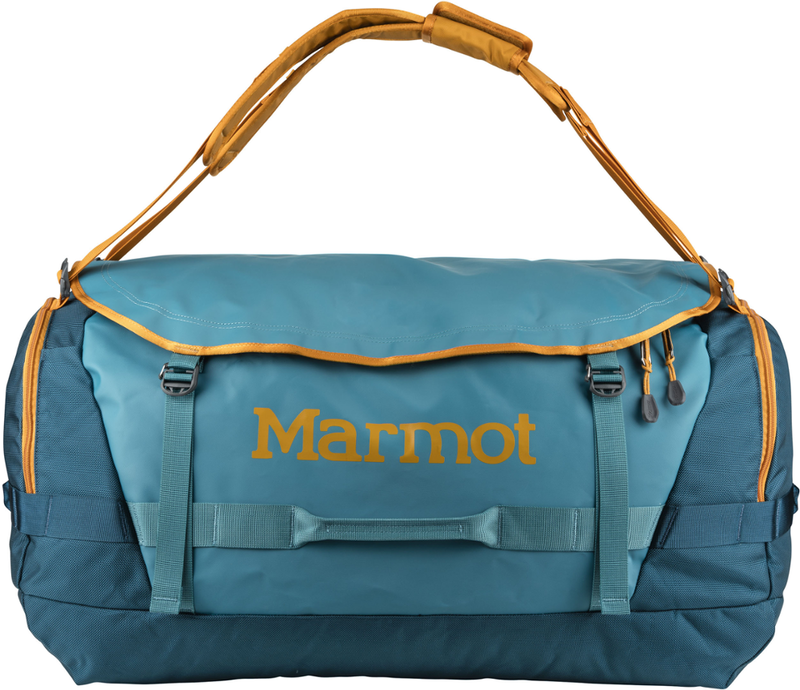 A large padded tow handle is riveted for strength and two centrally located carrying straps are also provided. The first thing the author noted upon receiving the High Sierra wheeled double ski bag was how durable it was. The molded plastic defines the wheeled area and it appears that it can take a lot of abuse, which it will surely see when traveling by air. Unzipping the bag opens up a large U-shaped interior with ample padding everywhere. The first order of business was to adjust the bag length. Since traveling on a ski trip always involves a lot of gear, the author generally likes to store a folded jacket at the upper end of the longest pair of skies. This meant adjusting the bag to its longest length. Two pairs of fat powder skis (188cm and 175cm) were then strapped into the bag with the padded dividers between them. The poles were placed alongside the skies, where hook and loop fasteners kept them in place. The double zippers were closed, adjustable compression straps tightened up and the wheeled double bag was ready to roll. 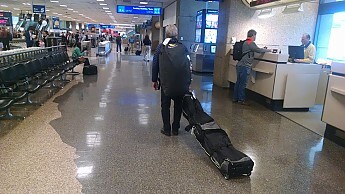 Traveling through airports, ski bags are known to be unwieldy. This bag eliminates all those issues. After getting off the parking shuttle, it was simply a matter of grabbing the padded handle and rolling the bag into the airport. It could not have been easier. 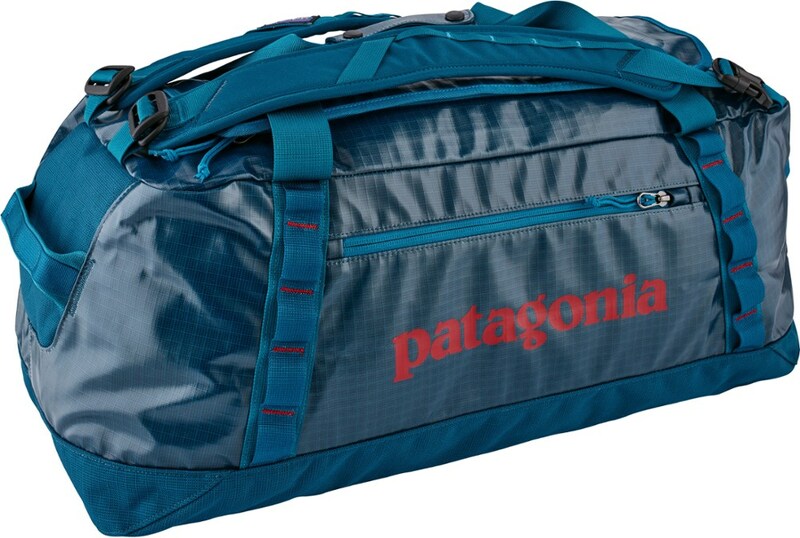 Throughout a recent trip to Utah, this bag was a joy to have and made transporting the ski gear so much more pleasant. Opening the bag after arrival, everything was exactly as packed and there was no damage to the contents or the ballistic nylon on the bag. 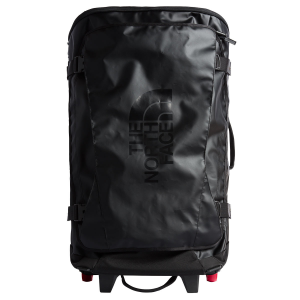 The High Sierra wheeled double ski bag is a great luggage addition for professional and amateur skiers alike. 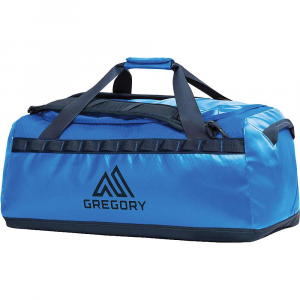 The combination of a rigged plastic chassis, the inline skate wheels, and the ballistic exterior fabric make this bag a real winner. The High Sierra Wheeled Double Adjustable Ski Bag is not available from the stores we monitor.